Fromagination, the specialty cheese shop that’s steps from Wisconsin’s State Capitol, is as creative as the name implies. (It helps to know that the French word for cheese is fromage, and that Wisconsin is the nation’s Dairy State). Front to back, top to bottom, Fromagination is the rare food shop that makes you want to linger, stroll, and touch. In fact, it's a challenge to walk more than a few steps without picking things up, reading the labels, tasting the samples. The shop is curated without being precious, charming without being cutesy. Run in for a gift and walk out with a sack of stuff for yourself. If you’re nowhere near Madison, check out the website. 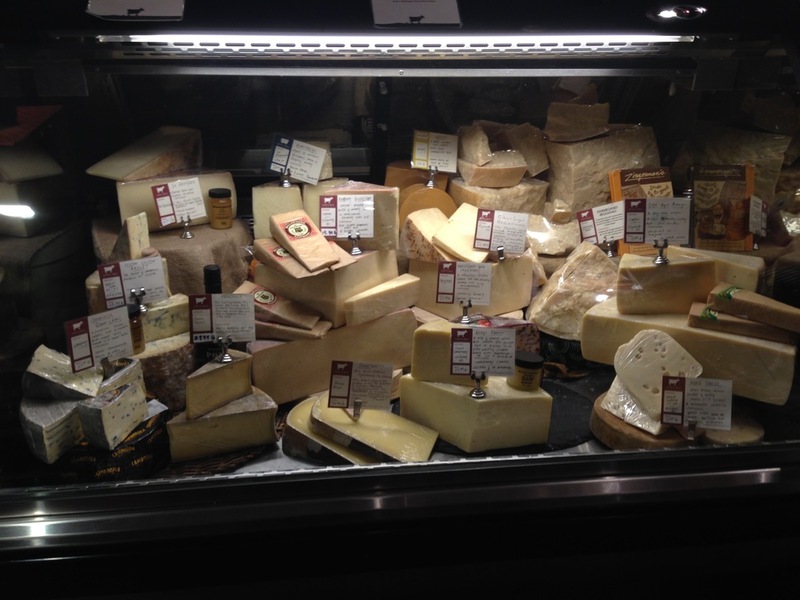 Fromagination has a cheese-of-the-month club, corporate gifts, picnic baskets and a blog. Owner Ken Monteleone is as savvy as he is friendly, and it’s an honor to have Let Them Eat Candles among his fine offerings.